Barfly’s – eating my way through Charm City! Federal Hill is definitely growing on me. There are quite a few spots that I would be happy to call my neighborhood bar. Barfly’s is one. It could be yours too, and should be if you like whiskey; they have about 170 or so different types, and the number keeps growing. I snagged a few seats at the bar, a couple of beers and ordered pizzas while having a nice chat with some folks sitting by the corner and the bartender – Mike. He is fantastic at his job, certainly knows his whiskeys and manages to keep service running smoothly as the only one there. The hot and spicy pizza is exactly as promised. 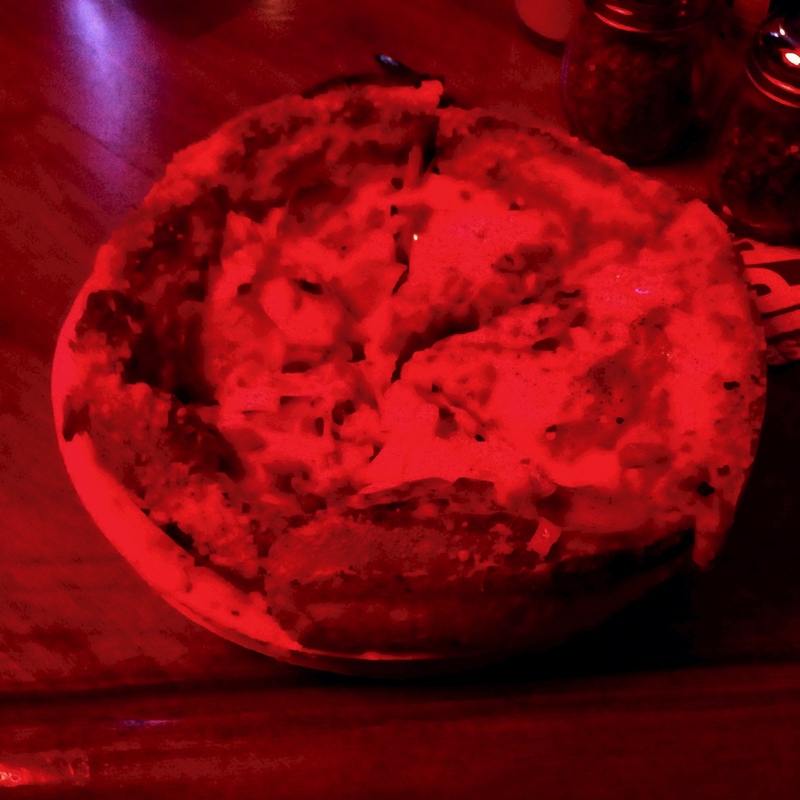 Barfly’s pizza is your deep dish style – similar to Matthew’s. Not always my go to, but it was chilly and rainy, so it was the perfect pie. This one is loaded with toppings – red sauce with pepperoni and onions. The spicy part comes from the hot peppers and pepperoncinis. I like that they use a blend cheeses – parmesan & mozzarella – which balances the flavors. Since I don’t love the red sauce on pizzas, I also went with a Spinach White Pie. The white sauce is a little garlicky and creamy, and the pizza was topped with spinach, fresh garlic, onion and a blend of the same cheeses plus feta. 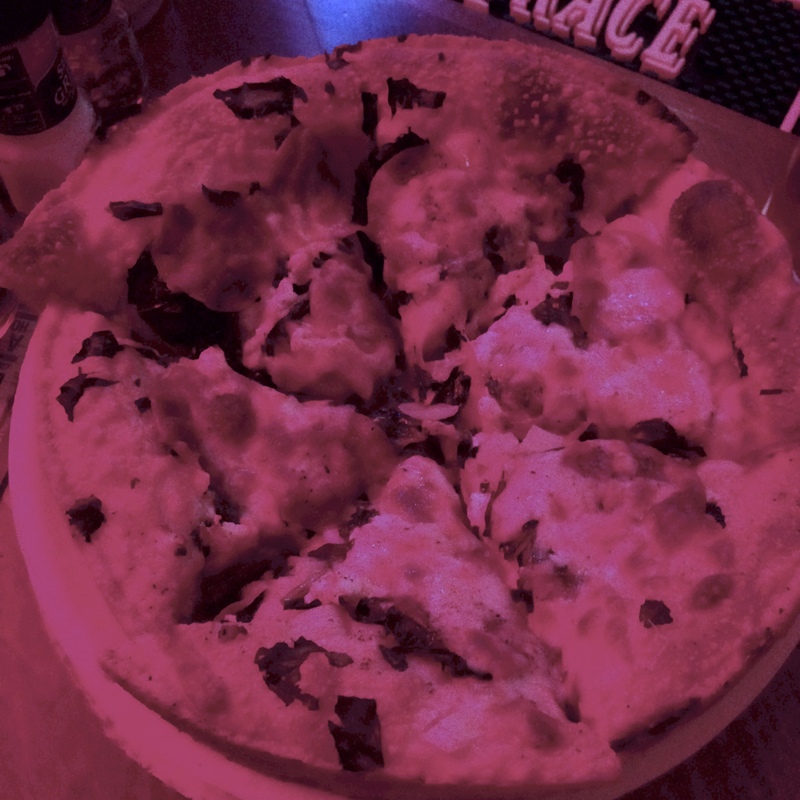 It usually comes with mushrooms, but they were out of those, so we got to add whatever topping we wanted – we went with pepperoni. All the pizzas come with their “special sauce” which I think is kind of like a ceased with some extra garlic and maybe some extra parm, since it is rather thick. This entry was posted in All Good., Charm City, Dinner, Federal Hill, South Baltimore. Bookmark the permalink.